We have compiled a list of ng on traveling within the United States. 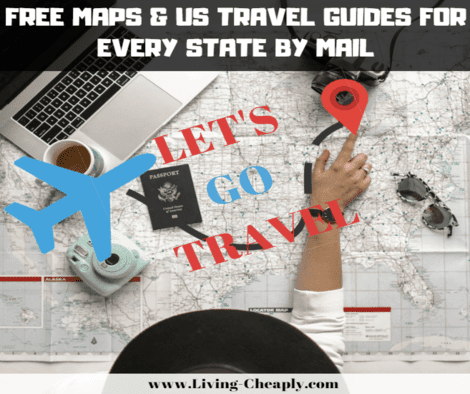 We have compiled a list of FREE MAPS AND TRAVEL GUIDES for every state in the US. The links will take you to a travel website where you can request a free physical travel guide by mail. 1. Click on a state link on the list below. Doing so will take you to that states official state travel website. Depending on the state you may also be able to get free highway maps, brochures, and travel kits. 2. Once you arrive on the states travel website you will need to fill out a form. Don't worry it will be simple. Only a name, email, and address is usually all that is required. All Done! Just have to keep an eye out for your free travel guides and maps to arrive in your mail! The following list is for those living or planning on traveling within the United States. Alabama - You will find the official FREE Alabama Vacation and Events Guide. You must live within the United States to receive the guide by mail. You will also find 4 FREE Alabama travel apps. Alaska - You will find the official Alaska Vacation Planner. You must live within the United States to receive the FREE guide by mail. If you live outside the United States you can use This Form, but it will cost you $10.00 USD. Arizona - You can order the official FREE Arizona State Visitor's Guide and full-sized Arizona state map by mail. Also, can view a digital Version Of the Arizona State Visitor's Guide there as well. Arkansas - You will find FREE maps, brochures, state parks guides, and vacation kits for making visiting Arkansas easier. Including Arkansas Vacation Kit, Explore Arkansas's Great Mountain Biking Destinations, Find New Roads in Arkansas's Road Cycling Guide, Order the Water & Woods Guide, Receive the Free Living in Arkansas Guide, Wedding Guide, and Free Arkansas Info. California - You will find a FREE visitors guide, road trips, and state map for California. They also offer digital versions of their Visitor's Guide and Road Trips. COLORADO ROOTS MAGAZINE with both being FREE. Connecticut - You will find the FREE official Connecticut Visitors Guide. You can View or download the 2018 Visitors Guide only. No option to have the guide mailed to your physical address. You also have 3 Regional Connecticut Visitors Guides to choose from. Delaware - You will find the official Delaware Travel Guide FREE by mail. For those outside the US, you will have slightly different options to choose from. Georgia - You will find the official FREE Georgia Highway and Transportation Map by mail. They also offer a large selection of brochures to choose from as well as add-ons. Including brochures in other languages than English. Hawaii - You will find the FREE official Hawaii Travel Planners. To get the planners by mail you must select Order it here under the download button. Or you can download a digital copy of the planners right away by clicking download now button. They give you a wide selection of planners to choose from. Including Hawaii Statewide Official Visitors Guide, Kauai, Kauai Travel Planner, Oahu Travel Planner, Molokai Island Brochure, Lanai Island Brochure, Maui Vacation Planner for Maui, Molokai & Lanai, and Island of Hawaii Travel Planner. Idaho - You will find a wide variety of FREE travel publications and maps. Scroll down to order publications by mail if you need to physical copies. If you rather just download a digital copy you can do that or both. Illinois - You will find the FREE Travel Illinois Magazine by mail. Or you can select Illinois Travel Kit which includes Travel Illinois Magazine, Illinois State Park Guide, and an Official Highway Map. Also, you will have to option to download a variety of digital of Illinois Visitor Guides. Including guides for those with disabilities. Only US and Canada residents can receive Visitor Guides by mail. Indiana - You will find a huge selection of FREE brochures that you can choose to receive by mail. They will also send you their alerts and newsletter to your email if you choose. Iowa - You will find a FREE Iowa Travel Guide by mail. If you choose you can get the Iowa Travel Guide 2018 and Iowa Transportation Map. Or you can view the digital version of the Iowa Travel Guide Online. Expect delivery of the physical copy to take 2-3 weeks. Kansas - You will find both a FREE Kansas Travel Guide and State Map. Or you can view a digital version of the Kansas Travel Guide online. Kentucky - You order the FREE visitor guides and maps for Kentucky by mail. Or you can view a digital interactive version of the Kentucky Travel Guide online. Also, you can order a huge assortment of Additional Kentucky Travel Brochures if you choose. Louisiana - You can order the FREE official Louisiana Inspiration Guide by mail. The guide breaks down everyplace you may want to visit in Louisiana. If you live outside the US you can only view a digital copy of the Louisiana Inspiration Guide online. Maine - You can order A FREE Travel Guidebook and highway map of Maine. The in-depth guide is 180 pages long. You can also view the digital Maine Travel Guidebook online. Delivery takes anywhere from 2 to 3 weeks. For quicker delivery, you can pay $5.50 for expedited shipping and get the guide and map in 3 to 4 days. Maryland - You can order various FREE Brochures and Travel Guides for Maryland by mail. Delivery takes 7 to 10 days. You can also view the digital Maryland Destination Maryland Visitor Guide. Massachusetts - You can Download a FREE digital copy of Massachusetts Travel Guide, and State Highway Map as PDFs. A copy by mail is not available at this time. Michigan - You can order the FREE 2018 Pure Michigan Spring Travel Guide. They offer slightly different guides each season of the year. Processing does take 3 to 4 weeks. Ouch, that is quite a wait make sure you order you guide well in advance of your trip. Or you can use their free digital Pure Michigan Travel Guide online. Minnesota - You can order a huge selection of FREE Minnesota travel brochures by mail. Including the Minnesota Explorer newspaper and the Minnesota road map. The brochures are also available online. Mississippi - You can order a FREE copy of Tour Guide, Golf Guide, Civil War Historical Sites Map, Blues Trail Map, Blues Festival Calendar, and Mississippi Highway Map by mail. Also, you can choose to justs go ahead and download the guides and maps if you like. Missouri - You can order the 2018 official FREE Missouri Travel Guide by mail. Montana - You can order a FREE Montana Guidebook by mail. If you choose you can addon for Glacier National Park And Surrounding Area Map, Greater Yellowstone National Park And Surrounding Area Map, and Vacation Packet 17/18. For viewing or downloading Montana Guides online go HERE. Nebraska - You can order a FREE Nebraska Travel Guide by mail. Also, you will find a digital Version Of the Nebraska travel guide online. Nevada - You can order a FREE Nevada Travel Guide and a Map by mail. They also have a large variety of digital Nevada Travel Guides available online as well. New Hampshire - You can order a FREE New Hampshire Visitors Guide and by mail. Also, you will find a digital Version Of the New Hampshire Visitor's Guide online. New Jersey - You can order the official FREE New Jersey Travel Guide and State Map by mail. International visitors must use this Form. Also, you will find a digital Version Of the New Jersey Travel Guide online. New Mexico - You can order a FREE New Mexico Vacation Guide by mail. Or you can order the True Package which includes True Adventure Guide, Highway Map, and Native Adventure Guide by mail. The Native Adventure Guide covers 22 Native American tribes, events and attractions. However, the True Package will run you at $6.55. More if you live outside of the US. Also, you will find a digital Version Of the New Mexico True Adventure Guide online. New York - You can order 3 FREE New York Travel Guides by mail. One of the guides is for just the winter season which seems pretty neat. Only individuals from US, Puerto Rico, and Canada are eligible to receive the New York Guide by mail. Also, you will find a digital Version Of each of the New York travel guides there as well. North Carolina - You can order a FREE Nebraska Travel Guide, Highway Map, Winery Guide, Civil War Trails Map, and Handicap-Accessible Attractions Guide by mail. Delivery takes anywhere from 2 to 3 weeks. Only residents of the US or Canada are eligible to receive the guide by mail. If you live outside the US or CA you must download the digital Version Of the North Carolina Travel Guide online. North Dakota - You can order a variety of FREE brochures, guides and maps of North Dakota by mail. Ohio - You can order a FREE Ohio Travel Guide and the seasonal Calendar of Events by mail. All orders are supposed to arrive within 10 days. Also, you will find a digital Version Of the Ohio travel guide online. An app is also available for both IOS and Android. Oklahoma - You can order a huge selection of FREE Oklahoma Travel Brochures including Travel Guides and maps by mail. If you live outside the US they have international Travel Guide versions. Also, you will find a digital Version Of the Oklahoma travel guide online. Oregon - You can order a FREE Oregon Travel Guide by mail. Also, you will find a digital Version Of the Oregon travel guide online. Pennsylvania - You can order a FREE Pennsylvania Happy Traveler Guide by mail. They only mail guides within the US. International visitors must use the digital Version Of the Pennsylvania travel guide online. Rhode Island - You can order a FREE Rhode Island Travel Guide by mail. Also, you will find a digital Version Of the Rhode Island travel guide online. South Carolina - You can order a FREE South Carolina Travel Guide by mail. Also, you will find a digital Version Of the South Carolina travel guide online. South Dakota - You can order a FREE South Dakota Vacation Guide and Highway map by mail. Additional packets are available if you choose. Also, you will find a digital Version Of the South Dakota travel guide online. Tennessee - You can order a FREE Tennessee Vacation Guide by mail. Also, you will find a digital Version Of the Tennessee travel guide online. Texas - You can order a FREE Texas Travel Texas Guide and Texas Official Travel Map by mail. Also, you will find a digital Version Of the Texas travel guide online as well. Utah - You can order the official FREE Utah Travel Guide and map by mail. Also, you will find a digital Version Of the Utah travel guide online as well. Vermont - You can order a FREE Vermont Travel Guide by mail. Also, you will find a digital a Summer, Winter, and Fall Version Of the Vermont travel guide online. Virginia - You can order a FREE Virginia Travel Guide and State Map by mail. If you choose you can also receive Virginia Campground Directory, Virginia Scenic Roads Map, and Virginia Civil War Trails Map and Guide. Also, you will find a digital Version Of the Virginia travel guide and maps online. Washington - You can order a FREE Washington State Visitors' Guide by mail. You must pay for shipping for international orders. Delivery takes 4 to 6 weeks unless you pay extra for rush shipping. Also, you will find a digital Version Of the Washington State Visitors' Guide online. West Virginia - You can order a FREE West Virginia Vacation Guide by mail. Also, you choose to have a digital Version Of the West Virginia Vacation Guide sent to your email. Wisconsin - You can order from a huge selection of FREE Wisconsin Maps and Travel Guides by mail. Also, you will find a digital Version Of the Wisconsin travel guide to view online. Wyoming - You can order a FREE Wyoming Travelers Journal by mail. You can only receive the Travelers Journal if you live in the US and Canada. Shipping usually takes 10 to 14 days. International visitors must use a digital Version Of the Wyoming Travelers Journal online.